We’re all trying to save money on our bills right? 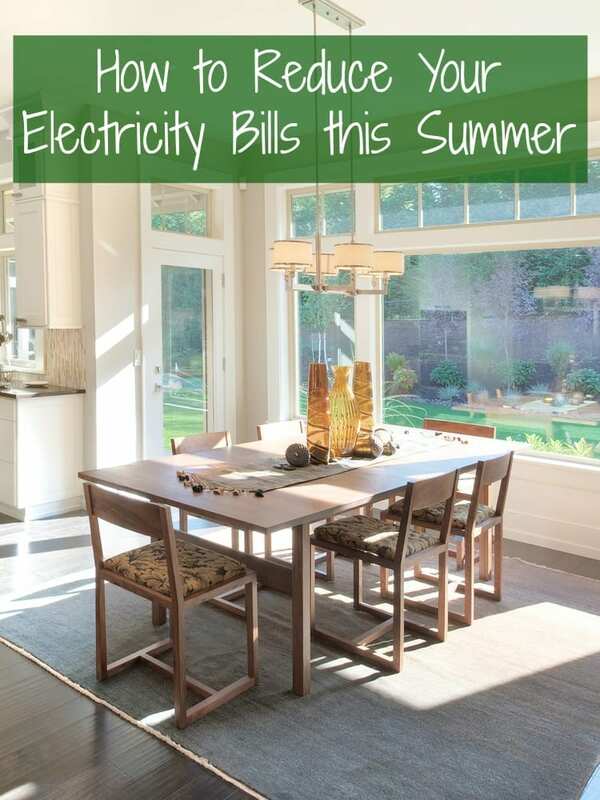 Today’s guest article has some great tips for how to reduce your electricity bill this summer. Enjoy! Electricity bills tend to rise during the summer season particularly if fans and air conditioning units are switched on almost 24/7 to handle any extremes in the temperature. It’s either that or suffer the discomfort of sweating profusely and itchy skin. Fortunately, there are ways to reduce the cost of utility this coming summer. 1. Work on your blinds or shades. The trick to reducing your electricity bills is to use less electricity, which also means you should be working on keeping indoor temperatures to comfortable levels. Start by keeping the window curtains or shades closed. When left open, the sun can raise the temperature of a room quickly. 2. Go green. Go green by planting trees and shrubs in your backyard, as well as, the front porch to shade your house from sunlight. Plantation also helps improve airflow and deliver soothing breeze around the house. Thus, it reduces the frequency of your fans and air conditioners switched on. You’ll also sleep better at night knowing that you’re helping the environment with your planting efforts. 3. Install a programmable thermostat. Sure, it will cost money, but this one-time purchase is worth it. You can save on power when you can effortlessly control and preset different temperatures in your household. According to the Department of Energy, an estimated 10% can be saved per year simply by having a thermostat and switching it back 10 to 15 degrees for 8 hours daily. 4. Convert your household into a eco-friendly abode. This decision can save you money through tax deductions. Installing solar panels and switching to energy-efficient light bulbs are two common ways to start the move to an eco-friendly home. Check out this home improvement infographic from Clydesdale Bank to find more upgrades you can work on. 5. Change your lifestyle. Studies show that taking cold showers during hot days is a great way to cool the body down and avoid sweating, which ultimately leads to a reduction in the need for water. Furthermore, because hot water is not needed, electricity is saved by keeping the water heater switched off. Another lifestyle change to save on electricity bills is to hang the laundry outside on a clothesline instead of putting it in the dryer. Take advantage of the extreme heat and let your clothes dry naturally in the sun. Be careful, however, as leaving it too long can damage the fabric. Next Post Is Your Home Safe and Secure? i thank this is the way of the future it the only way to go green.